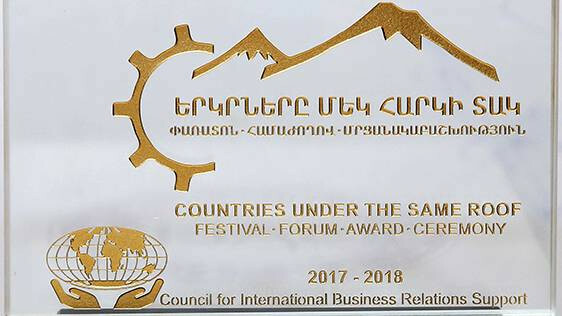 Within the framework of the three-day festival-forum-award titled “Countries under the same roof 2017”Ucom has been recognized as the best company in the field of telecommunications. 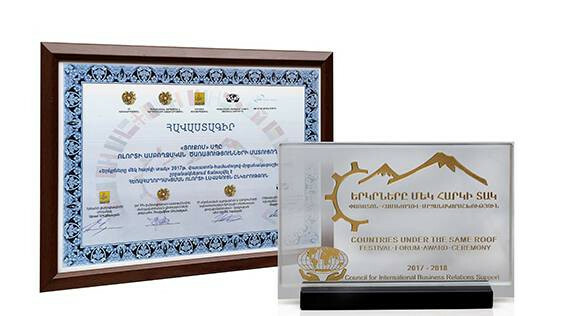 This annual event is initiated by the RA Government’s Council for Business Relations Support. Through the modernized 4G+ and its own fiber-optic networks, which meets the best international standards, the company provides a complete set of fixed and mobile telecommunication services to over 600, 000 customers. By constantly offering innovative solutions Ucom has made available to everyone not only the mobile television with its MediaRoom application, but also the U!Pay virtual wallet, the possibility to have Armenian and Russian numbers in 1 SIM-card, U!Cloud cloud solutions and much more. “Such kind of an assessment is truly obliging. 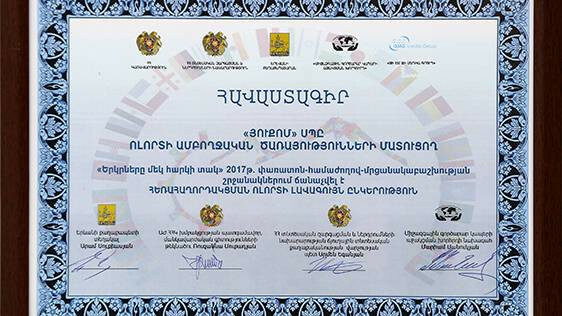 Ucom will continue working with great enthusiasm and deliver innovative solutions”, - noted Hayk Yesayan, Director General at Ucom.